Two-thirds of our world is just water, and we have barely scratched the surface of what lies beneath. With this list of best places to enjoy marine life, we can’t promise you the secrets of the deep blue under, but we can ensure that you have the best time learning so much more about marine life and systems, and be as utterly stupefied as we were! Nothing excites humans more than optical illusions; the idea of something that appears, but isn’t. 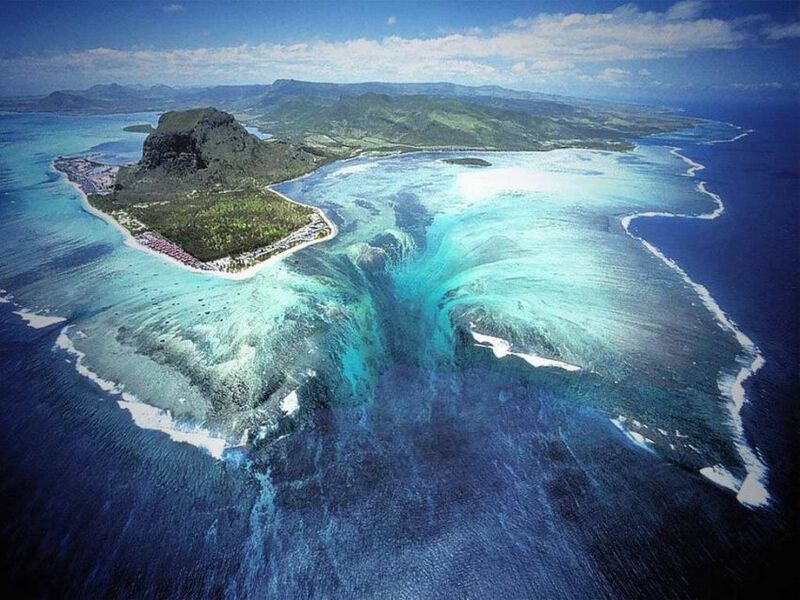 Such is the Underwater Waterfall in Mauritius. The Republic of Mauritius is located 2000 kilometres from Africa’s south-east coast, near Madagascar. For many decades, Mauritius has been the one-stop destination for romantics and vacationers all around the world so visit this beautiful places to enjoy marine life through Mauritius Tourism. It is also home to the optical illusion of the Underwater Waterfall. The authentic look for the illusion is due to the sand and silt deposits shifting and flowing through the area. This causes a fluctuation in the colour of the water, making it look like a waterfall. This illusion complements well the wide variety of colours peppering the island. The location is catnip to tourists owing to the abundance of great beaches, and the plentiful outdoor activities around the island. Jellyfish are absolutely delightful to look at. It is a mesmerising view; them ballooning up and propelling themselves around the water. We have all wanted to touch jellyfish, but unfortunately, they contain stinging cells that are transferrable and can cause inflammation. The marine Jellyfish Lake located on Eil Malk Island in Palau, however, is a true rebel! The lake, close to 12,000 years old, is home to two species of jellyfish: Moon Jellyfish, and Golden Jellyfish. The lake sees millions of golden jellyfish migrate horizontally across the lake on a daily basis! The lake is around 12,000 years old. 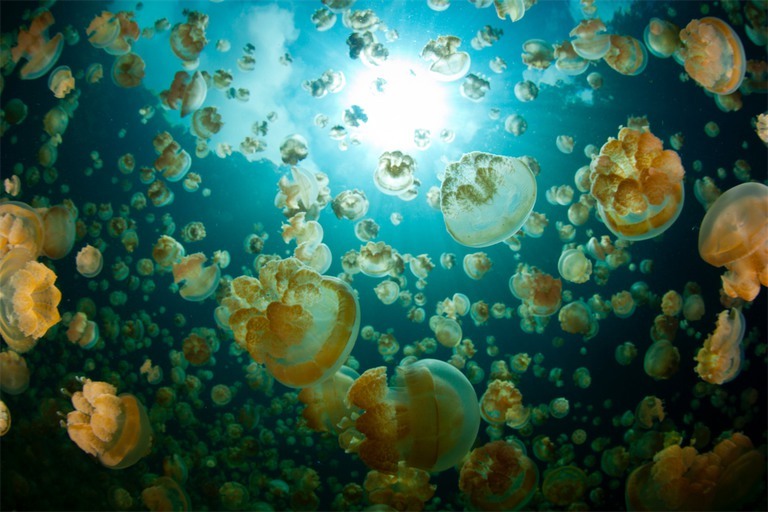 Two species of jellyfish live in the lake: moon jellyfish and golden jellyfish. The cherry on top is that you can go see these beautiful creatures up close if you wish to! Over the last millennia, the two species of jellyfish have had their sting reduced to almost unnoticeable. What a rare opportunity to swim alongside the jellyfish, and that too at an entry fee of only 35 USD per person? Miracles are a part and parcel of exploring the earth, and we are down with the challenge! Big Island in Hawaii is a true spectacle of nature. On one hand, this island is home to one of the most active volcanoes on the planet, while on the other, Hawaii is the wettest city in all of United States. An island of fire and ice, Big Island is the personification of your deepest Hawaiian marine dreams! 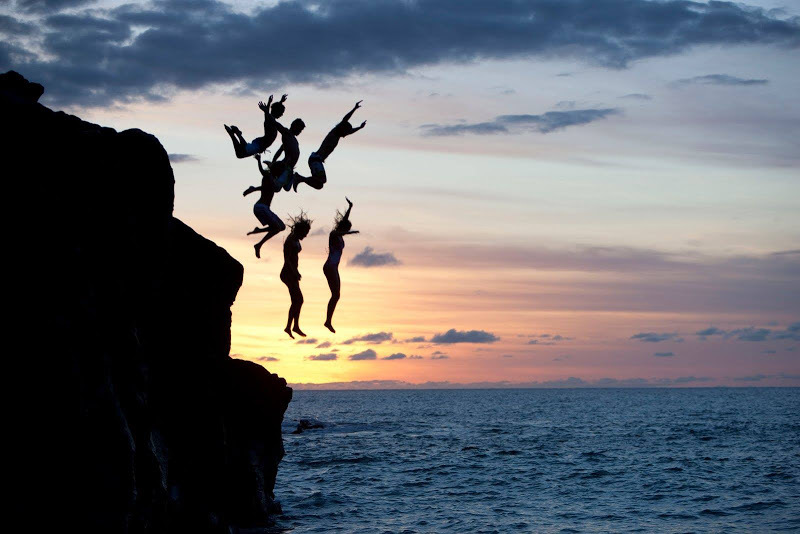 The island promises encounter with the Kona Manta Rays at nights. Giant Manta Rays appear like great birds in flight and are quite enthralling up close. The Hawaiian Kona Coast is home to over 240 Manta Rays, each identified and named. 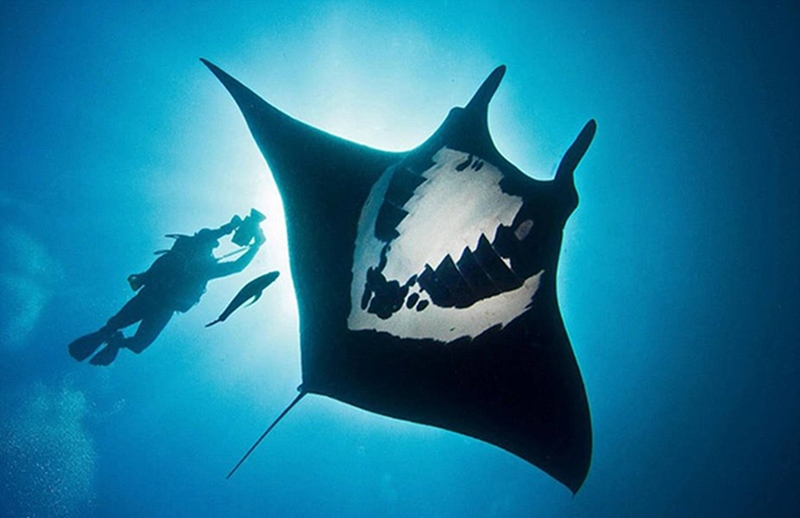 These Manta Rays are adorned with black and white markings on their underside that helps to identify them at nights. In waters only about 30-40 feet deep, snorkelers are provided with safe views of amazing performances by the Manta Rays, making this an ideal first date! Another astounding marvel of Hawaii, Maui is one of the best places to enjoy marine life and has more to offer marine lovers than you’d think. Of the seven species of sea turtles, five have chosen Hawaiian waters to reside in. These species are the Green Sea Turtle, Hawksbill, Leatherback, Loggerhead and the Olive Ridley. 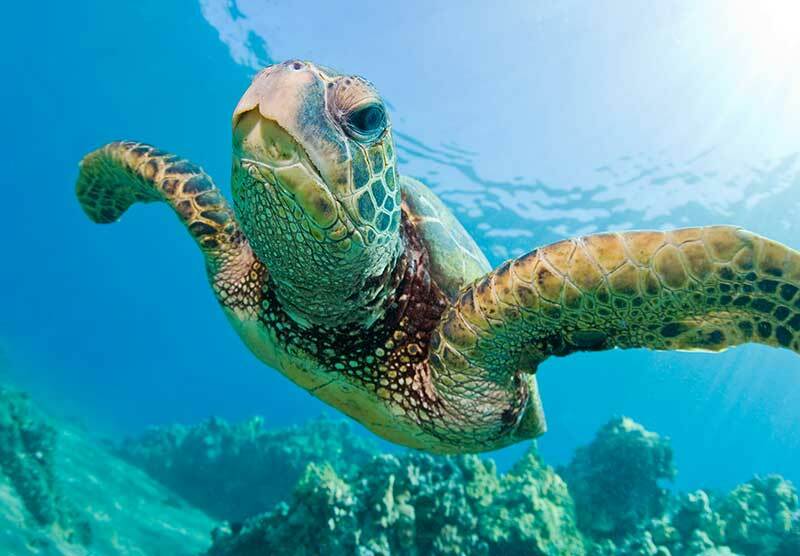 Maui has its share of carrot to offer you: snorkelling that allows you to spot turtles on the ocean floor, or go visit their local turtle cleaning station. Some of these species are endangered, and hence this trip will turn out to be a trophy on your travels’ list. Just make sure to keep your arms by your side and maintain a distance of 15 feet from turtles. And you’re golden! Originally named Ilha da Fera (Island of wild creatures), Dyer Island is the largest islands of the group 5 miles off Gansbaai, Africa. Close to Dyer Island is Geyser Rock, and the section of sea between these two has been called ‘Shark Alley’, owing to the seals who feed here being a food source themselves for sharks. 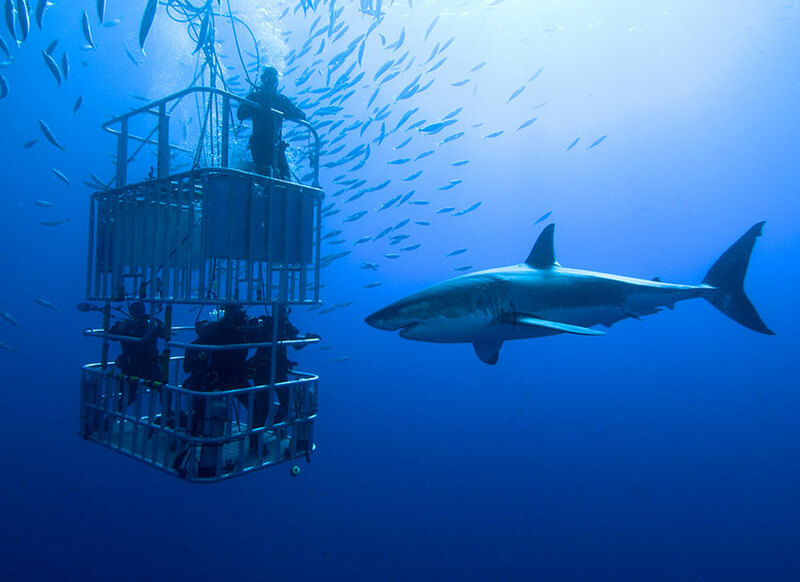 This alley is the right destination for shark cage diving. Not for the faint-hearted, this activity also includes sightings of raw predation. We can’t stress what an adrenaline rush it is to watch a shark succumb to its primal nature. Churchill, a town in northern Manitoba, Canada, is most famous for its scenic ambience and as the ‘Polar Bear Capital of the World’, boosting its tourism considerably. Churchill is also popular for the sightings of more than 57,000 beluga whales that frequent the warmer waters of the Churchill River estuary during the months of July and August. This is a massive summer attraction for the quaint town. 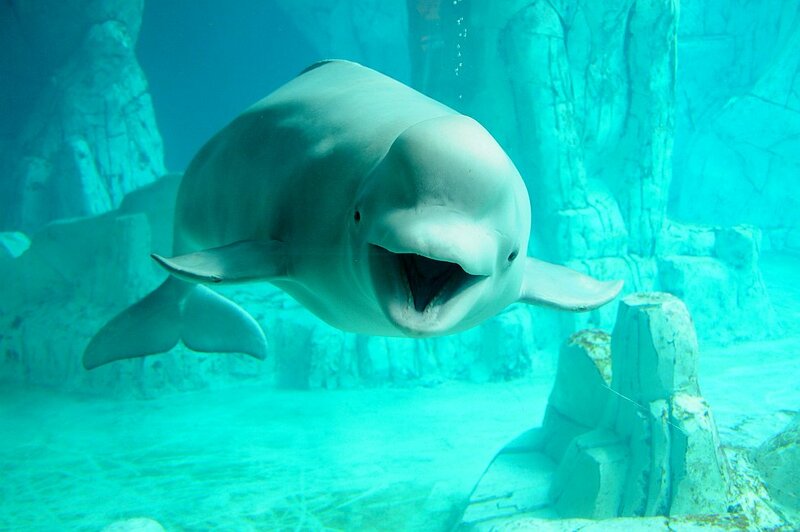 Beluga whales have been called ‘Ocean Canaries’ as they appear to sing like birds when heard underwater. How exciting is the idea of snorkelling with possible opera singer whales! Crystal River or self-proclaimed ‘Home of the Manatee’ is a city in Citrus County, Florida. The warm water of Citrus County seems to be a favourite for manatees. Crystal River also happens to be one of the best places to enjoy marine life, and you can legally swim with the ‘sea cows’, as they’re sometimes called. While more than 400 manatees appear during the winters, these animals are around pretty much all year round. 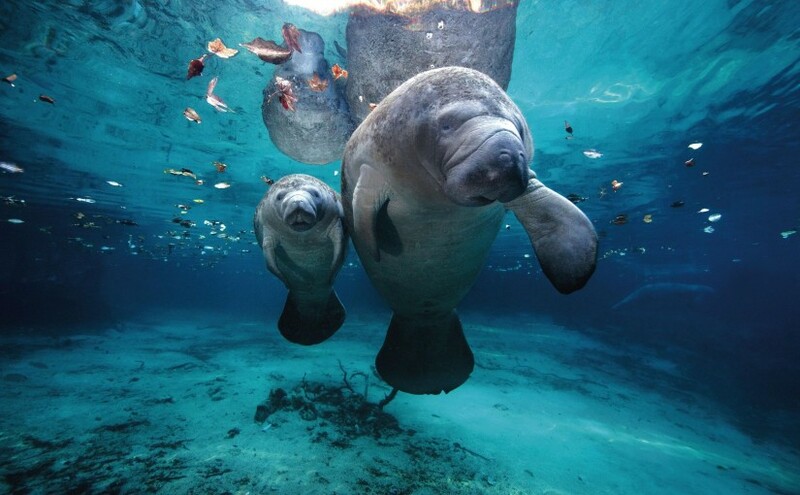 Manatees are very gentle and remain pretty unafraid of snorkelers. Isn’t that amazing? Visit the Great Barrier Reef which is known as the largest coral reef in the whole world and have a wonderful experience through Australia Holiday Packages!! Imagine the diversity of marine life you could experience in this reef! The thought itself is humbling. The reef system holds over 2,900 individual reefs, 900 islands, and innumerable species of marine life, including colourful corals, sea stars, manta rays, turtles, sharks and many more. The most popular activities here are snorkelling and diving that take place on the outer part of the Great Barrier Reef. 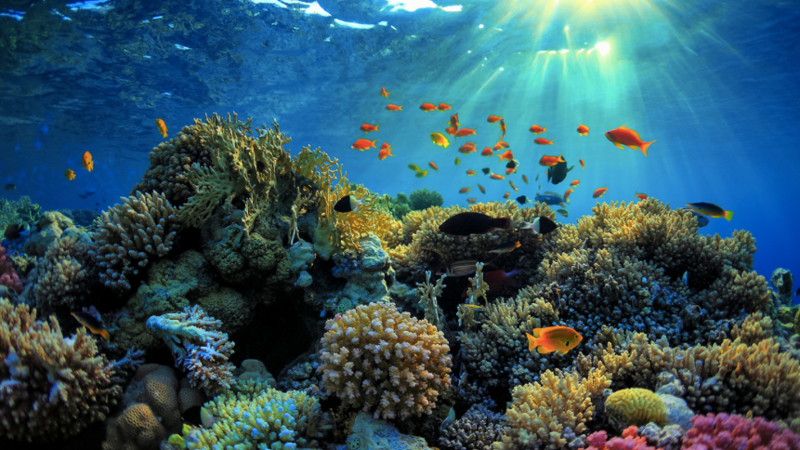 Be one of the close to two million tourists visiting the magnificent reef. Of all the impressive-beyond-comprehension attractions at Atlantis The Palm, the entrance fee for the Ambassador Lagoon is the most economical purchase. For only 30 AED, it is a steal! It consists of more than 65,000 marine animals of various species. 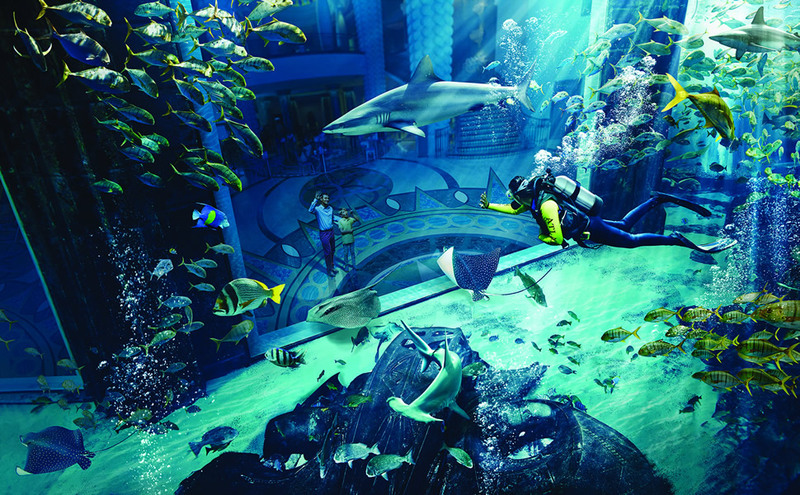 Recreating the wonderment of Atlantis, the lagoon allows 30 minute long sessions with snorkels and masks to gaze at the marine life to your heart’s content. Fly with the birds, or run with the horses; there’s very little that can beat swimming with the fish in places as impressive as these. 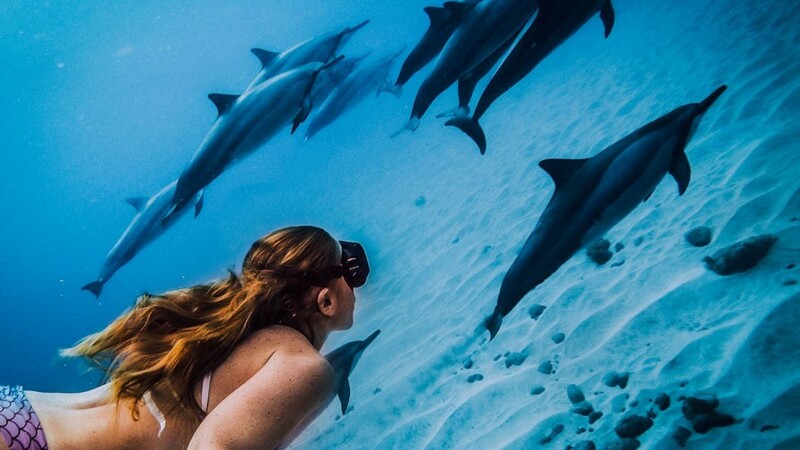 This list of best places to enjoy marine life is going to make you want to brush up on your underwater strokes! If you haven’t made any plans yet, we have planned something for you. Here are the best places to enjoy marine life.